Ultrasound of the elbow joint and soft tissues of hands was widespread in diagnostic medicine. The method is relatively inexpensive and is widely used in traumatology and rheumatology for rapid diagnosis. High information content – in real time you can see the full picture of the desired anatomical structures, and small bones of the hand and fingers. Full security – no harmful exposure to x-rays, tests can be done several times in a row. The comfort of the patient during the examination is not experiencing any discomfort. Low cost – in comparison with MRI, the procedure requires less expenditure of the patient. The examination of the upper extremities emphasis on elbow and shoulder joints, wrist joints, the soft tissues of the shoulder and forearm, hands and fingers. Prolonged pain in the elbow during movement and at rest. 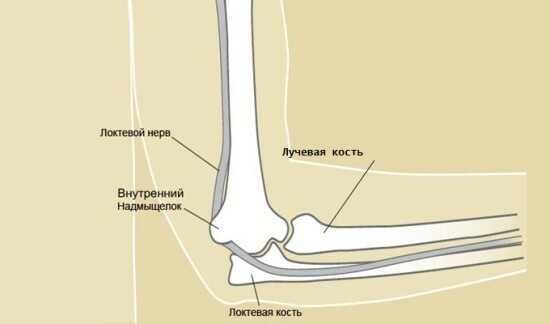 The limitation of the arms in the elbow joint. The presence of edema and local swelling in the joint. Redness of the skin of the elbow. Traumatic lesions of the joint. A suspicion of effusion in the joint. The defeat of the articular cartilage. As the diagnosis of rheumatic diseases. Suspicion of the presence of pathological lesions. The puncture of the joint is visualized under ultrasound. READ How often and how many times can you do an x-ray? 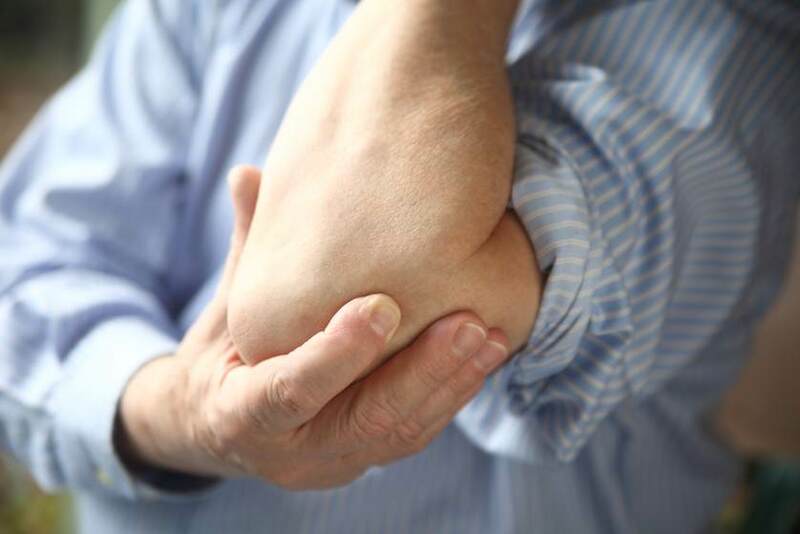 A certain group of patients in connection with the specifics of their professional activity must periodically undergo preventive ultrasound of the elbow. This number includes dentists, professional athletes, particularly tennis players and musicians. This is due to the fact that people in these professions while working relentlessly the same type of movement in the elbow joint that often leads to the development of inflammatory and degenerative processes, promotes the accumulation of exudate. Any special preparations before an ultrasound of the elbow joint is not required. In the study the patient is on the couch sitting or lying down, depending on the General condition of the patient. The doctor applies to the study area a special gel and apply a transducer, which transmits ultrasonic signals and detects reflected. Information supplied to the computer, processed and displayed in a schematic black-and-white image on the monitor screen. Examination of the joint takes place in four different planes – frontal, lateral, medial and posterior. The front access is defined by the elbow joint as a whole, the biceps tendon, median nerve. To improve the visibility of the patient is asked to slightly bend the arm at the elbow. In the lateral division are localized tendon of the shoulder extensor, collateral and annular ligament, radial nerve. Medial access displays the status of the shoulder tendons and the ulnar nerve. In the posterior part is rendered cubital fossa, the tendon of the triceps muscle and the joint capsule. To assess the degree of elasticity of the ligaments of the articulation compare the data in a bent and unbent state. The expert drew attention to the presence of fluid in the joint – in that case, if the detected effusion, the patient may be directed to puncture. Ultrasound examination of the shoulder joint is performed to diagnose abnormalities of the cartilage, joint capsule, ligamentous and muscular apparatus, and various inflammatory diseases. Estimated size of the articular surfaces, and humeral nerve, articular effusion, the ligaments stretch. A large value of sonography of the shoulder joint has in the diagnosis of rheumatic diseases. At an early stage can reveal signs of rheumatoid arthritis and spondyloarthropathies. Examination of the radial joint and hands has many advantages – the method is safe and it can be repeated as many times as necessary. The brush has quite a complex structure due to the large number of small bones and joints. In addition to bone structures, pay attention to the condition of the ligamentous apparatus, muscles of the hand, the effusion in the joint, if necessary, carry out a survey of the phalanges of the right thumb. Due to the fact that the bones of fingers have small size and lack of a massive muscular system, the doctor has a good review for the study. The scanning of the fingers takes place in different planes, with the palm and back of hand to assess the condition of the small bones of the finger is scanned in the transverse and longitudinal plane. In the survey conduct various functional test for the assessment of different groups of muscles and ligaments of the hand and fingers – the patient needs to make some moves. In addition to the condition of the bone structures of the hand ultrasound shows various pathologies of the shoulder soft tissues and tissues of the forearm. A method often used in surgery for early diagnosis of neoplasms localized in the skin, subcutaneous fat and muscle. During the examination, you can identify the localization, the size and structure of education, to assess the condition of the lymphatic system of the arm and forearm. The method is non-invasive and requires no special training. Summing up we can conclude that ultrasonography of the elbow and shoulder joints, hands and fingers allows you to identify how many small violations that do not give any clinical symptoms, and major pathologies requiring surgical intervention (e.g., in case of detection of effusion, the patient undergoes lumbar puncture joint cavity). MRI of the elbow: what shows?